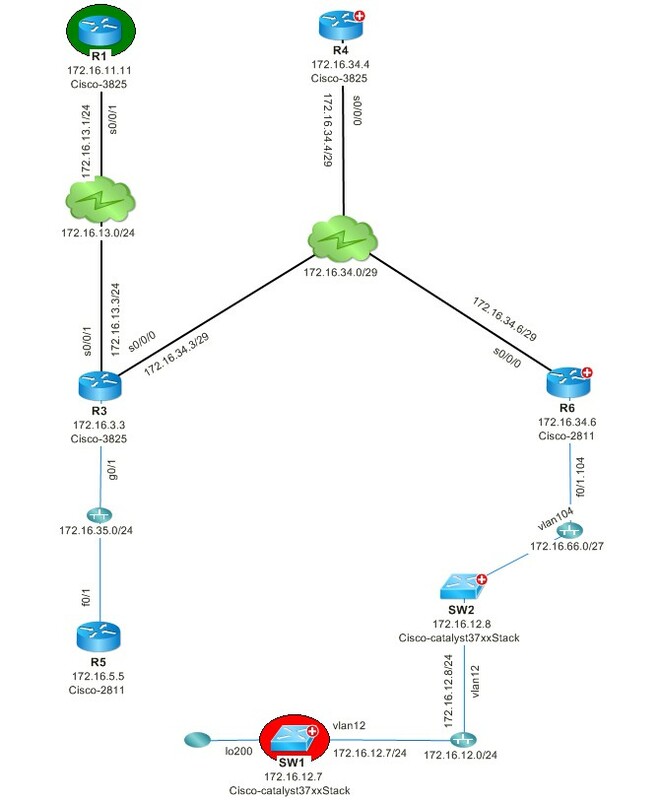 172.16.200.7 is the IP address of interface loopback200 on SW1 (in AS 65500), and this IP address is advertised into BGP already. R3 is a BGP router in AS65503 which is next to the AS 65500. R3 can see route 172.16.200.0/24 in its routing table and the next hop of this route seems correct. But when R3 is trying to ping this 172.16.200.7, it could not reach it.